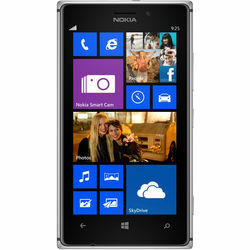 Nokia Lumia 925 the latest buzz in market has unleashed with some real mouth watering and thrilling features to catch hold of it. This is a beautiful Smartphone that has a 4.5 inch PureMotion HD + screen that lets you see images and text with better clarity. It has a display resolution of 1280x768 pixels. It has some great display features such as PureMotion HD+, ClearBlack, Brightness control, Orientation sensor, High brightness mode, Sunlight readability enhancements, Refresh rate 60 Hz, Corning Gorilla Glass 2, Sculpted glass, Easy to clean, Nokia Glance screen, Lumia Color profile, Wide viewing angle that make it a brand new experience when viewing anything on the screen. This newly invented phone runs on Windows Phone 8 OS platform. The Qualcomm Snapdragon S4 powers it with its 1.5 GHz Dual core processor. This helps to enhance the overall performance of the phone and gives you an increased speed while doing multi-tasking. This Smartphone has been enabled with many connectivity features like Wi-Fi, EGPRS, Wi-Fi Hotspot, NFC and other Wireless connectivity. It supports GSM Networks band WCDMA network for data speed. 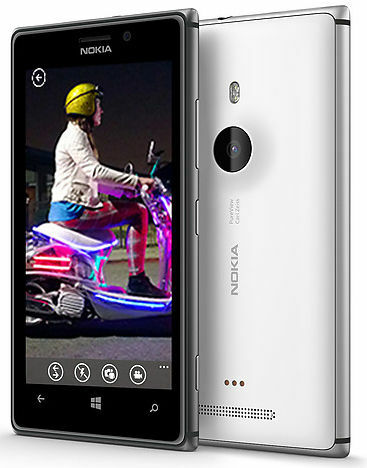 Lumia 925 has a 8.7MP PureView rear camera with Dual LED Flash and a 1.2MP front camera. You can capture great pictures and also make video calls with it. It comes with 4x digital zoom. The camera has a focal length of 26 mm. It has different scene modes like Automatic, Night Portrait, Sports, Night, Close-up, Backlight to give you better quality images. 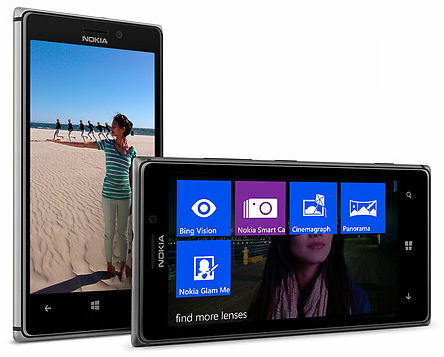 Nokia Smart Camera. Unleash your creativity. You no longer need to spend loads of time planning to take the perfect picture. 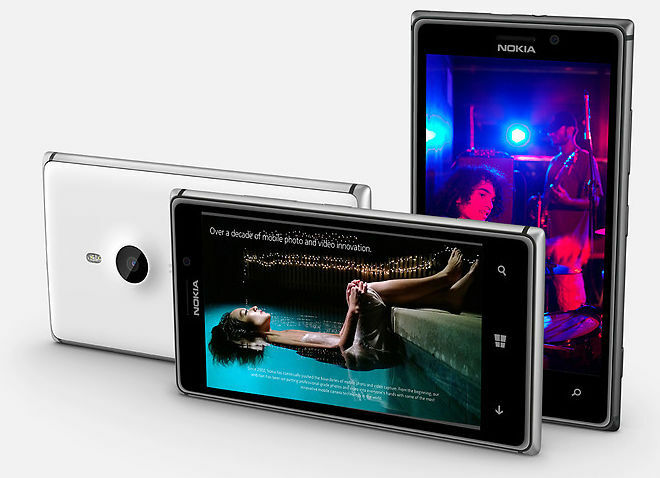 The Nokia Smart Camera mode lets you take a series of images and later you can make a story from it as per your wish. Low-light photos never looked this good. This camera has an Award-winning PureView technology, the Carl Zeiss optics and six physical lenses that allow you to capture great moments in the day and night. People will get jealous when they see this beautifully designed phone. All the action in a single photo. It allows you to click more pictures than you can see. The unique Action Shot Feature in the Nokia Smart camera allows you to capture a sequence of movements with a single shot. You get a single picture showing you the different movements. Get What you want. Blur the rest. The new Motion Focus feature that has been added to the camera recognizes your focus point and illuminates the important part in the picture. It automatically simulates the action by keeping the main subject still and blurring the rest. Nokia Lumia 925 has mass memory of 16GB and 7GB of free cloud storage. Store all you want and keep your favourite songs, movies, etc. with you in you mobile phone. It runs on 2000mAh BL-4YW battery. It gives you longer talk time and standby time. Nokia Lumia 925 the latest buzz in market has unleashed with some real mouth watering and thrilling features to catch hold of it. Display This is a beautiful Smartphone that has a 4.5 inch PureMotion HD + screen that lets you see images and text with better clarity. It has a display resolution of 1280x768 pixels. It has some great display features such as PureMotion HD+, ClearBlack, Brightness control, Orientation sensor, High brightness mode, Sunlight readability enhancements, Refresh rate 60 Hz, Corning Gorilla Glass 2, Sculpted glass, Easy to clean, Nokia Glance screen, Lumia Color profile, Wide viewing angle that make it a brand new experience when viewing anything on the screen. Operating System This newly invented phone runs on Windows Phone 8 OS platform. 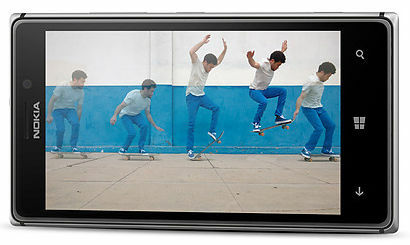 The Qualcomm Snapdragon S4 powers it with its 1.5 GHz Dual core processor. This helps to enhance the overall performance of the phone and gives you an increased speed while doing multi-tasking. Connectivity This Smartphone has been enabled with many connectivity features like Wi-Fi, EGPRS, Wi-Fi Hotspot, NFC and other Wireless connectivity. It supports GSM Networks band WCDMA network for data speed.Camera Lumia 925 has a 8.7MP PureView rear camera with Dual LED Flash and a 1.2MP front camera. You can capture great pictures and also make video calls with it. It comes with 4x digital zoom. The camera has a focal length of 26 mm. It has different scene modes like Automatic, Night Portrait, Sports, Night, Close-up, Backlight to give you better quality images. Nokia Smart Camera. Unleash your creativity. You no longer need to spend loads of time planning to take the perfect picture. The Nokia Smart Camera mode lets you take a series of images and later you can make a story from it as per your wish. Low-light photos never looked this good. This camera has an Award-winning PureView technology, the Carl Zeiss optics and six physical lenses that allow you to capture great moments in the day and night. People will get jealous when they see this beautifully designed phone. All the action in a single photo. It allows you to click more pictures than you can see. The unique Action Shot Feature in the Nokia Smart camera allows you to capture a sequence of movements with a single shot. You get a single picture showing you the different movements. Get What you want. Blur the rest. The new Motion Focus feature that has been added to the camera recognizes your focus point and illuminates the important part in the picture. It automatically simulates the action by keeping the main subject still and blurring the rest. 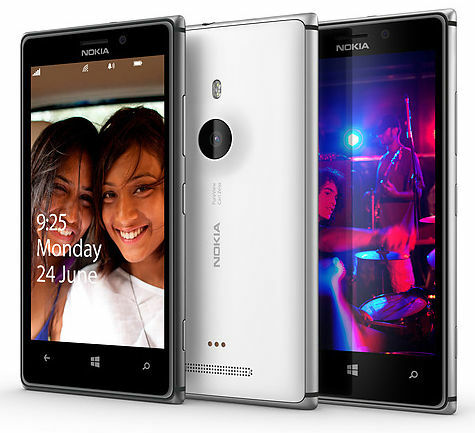 Memory and Battery Nokia Lumia 925 has mass memory of 16GB and 7GB of free cloud storage. Store all you want and keep your favourite songs, movies, etc. with you in you mobile phone. It runs on 2000mAh BL-4YW battery. It gives you longer talk time and standby time. Recording Codec : AMR-NB, GSM FR. No Deliveries on Sunday and National Holidays."